How old were you when you started sailing and does anyone else in your family sail? I was eight years old on a family holiday in Wales with my grandparents, two brothers and cousins. I was always one of the youngest so obsessed over beating them even from a young age. What was your first boat? An old Optimist I bought with my savings for £100! How many years did you compete in the Topper before winning the 2008 World Championship in Ireland? Three years. 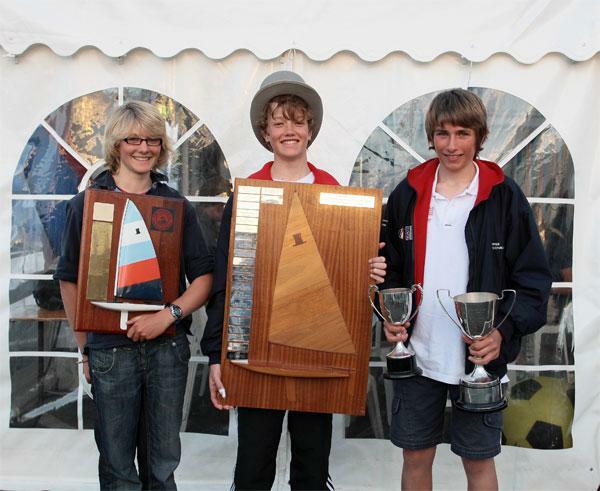 I didn’t spend long in the Optimist as most young sailors in my area sailed the Topper. The Topper class had also started to show a much stronger single-handed pathway within the UK. Why did you first decide to sail the Laser? And what has kept you sailing it since? I always preferred sailing on my own and being accountable, but from a young age it also allowed a lot more sailing time not being dependent on a crew. The competitive nature of the class is renowned for being one of the best, both in terms of quality and depth, and because of this I think there’s a real mutual respect in the fleet. When you were getting involved in sailing the Laser, were there any specific sailors you looked up to or strived to be like some day? I’ve always looked up to Ben Ainslie, he was born in my hometown Macclesfield and has gone on to become a legend of the sport. I was fortunate enough to be involved with Nick Thompson as a training partner from 2014 though. Having spent the majority of my senior career chasing his tail I would say I’ve looked up to and learned the most from him. You were part of the winning team at Youth America’s Cup in 2017 with the Land Rover BAR Academy—how did you get involved with that team, and do you intend to return to America’s Cup sailing at any point in the future? I actually got sent the link for applications by Giles Scott. LRBAR did an open application process to UK sailors who wanted to be involved. In all honesty, I knew very little about sailing that style of boat, and my sailing career had mostly consisted of single-handed dinghies. I remember asking Giles endless questions, watching videos and reading a lot of books to learn quickly, ultimately sailing a similar role he did (tactician from a slow boat background). I remember him saying something along the lines of “sailing is sailing so regardless of your background; if you’re good enough you’ll pick it up fast.” I think there’s a great deal of truth in that, and any single-handed sailors given opportunities to step into that world have all gone on to prove it. I’d love to be involved again one day and wouldn’t be afraid to admit it’s a long-term goal of mine. It’s amazing to have a UK team going from strength to strength with some of my closest friends at the forefront. Tell us about your relationship with your closest teammates Michael Beckett, Lorenzo Chiavarinni, and Jack Wetherell. How long have you sailed with each other? What is the competition like among you four? Are you each competing against each other for the 2020 Olympic qualification? I think there’s been a strong culture develop within my generation of British single-handed sailors. My best friends have all either been involved, or continue to push. We actually spend the majority of our free time together, going on holidays or socializing. Part of it comes from sailing a Laser and therefore all having a similar mentality, personality, and interests. I’ve watched other classes where the squad environment can look quite hostile and eventually breaks down becoming unproductive. Maybe we were aware of that or maybe we’re quite lucky to get on so well. With our current group we’ve sailed together over 10 years with fierce competition—Lorenzo and I still recall the first room we shared together at a junior squad in 2006! Alongside Nick, we’re all in competition for the 2020 spot, but I’d say the friendships formed over the years will far outlast any Olympic selection, present or future. 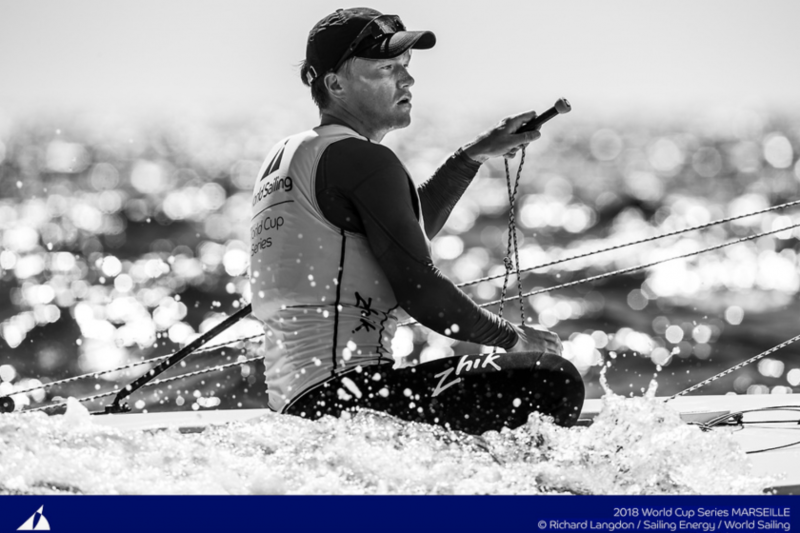 What is your relationship with teammate and experienced Laser sailor Nick Thompson? Very close! I first remember meeting Nick in 2010 at a UK qualifier. As a small Radial sailor, I was a little starstruck; our relationship has obviously developed a lot since. He’s always been inclusive and helped the younger sailors though which is something I will always remember and try to emulate. During any of my successes he’s also usually the first one to congratulate me. With a close UK Olympic trials, tensions can naturally run high between any of us but we’d still always be the first group seen sharing some beers come the final whistle. 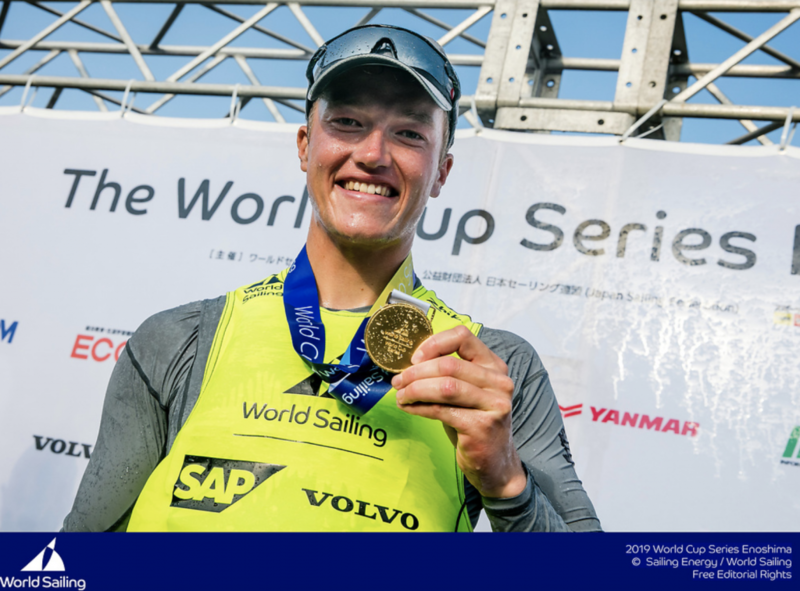 Despite recovering from an injury, you performed in the top of the fleet in 2018 closing out the year with gold in Enoshima. What changed for you last year that improved your performance so notably? I felt like I was knocking on the door a little in 2017, finishing 2nd in Palma, winning Medemblik, and finishing 11th at the Worlds. At the time though I was balancing Laser sailing with our Youth America’s Cup campaign and definitely lacked some consistency across the season. 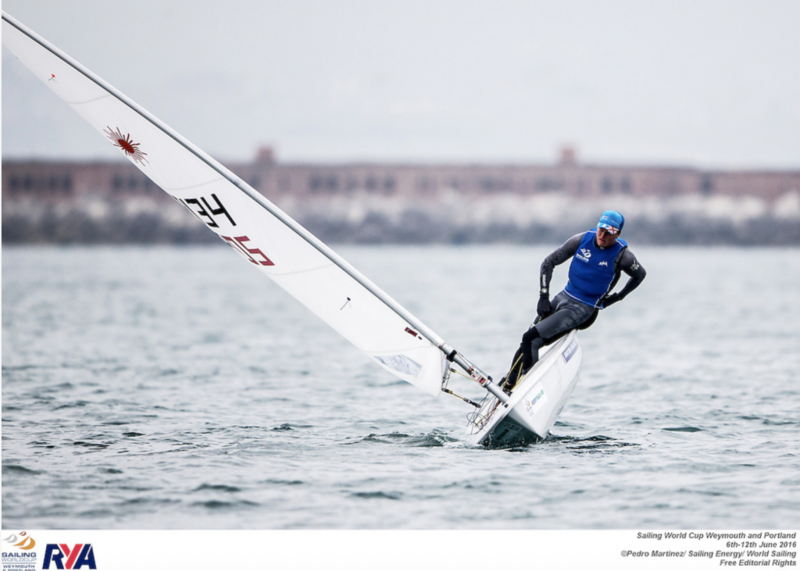 Obviously getting injured, I wasn’t actually able to develop my sailing skills much if at all before the 2018 racing season, but it did give me an opportunity to explore how to find more consistency. Without giving too much away I spent a lot of time analyzing my sailing, my competitors’ sailing, and how to perform to my best ability more frequently. My involvement with the Youth America’s Cup was also a real eye-opener in terms of professionalism in the sport. Working around a Cup team and watching how the sailors and team operate on a day-to-day basis gave me a big kick in the right direction. 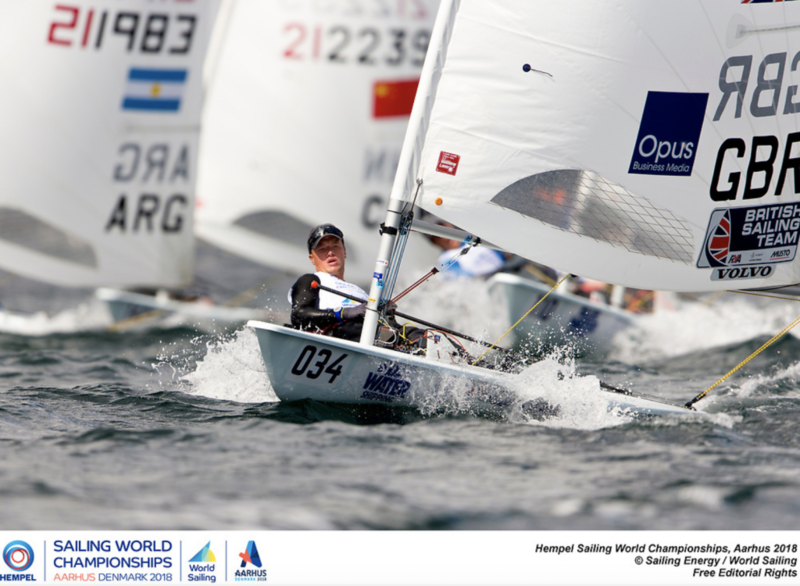 The Hempel Sailing World Championship was the ultimate event of the year and an opportunity to qualify your country for the 2020 Olympics in Tokyo. How did you prepare and maintain your focus and performance at such a high-pressure event, to finish fifth overall? I personally feel a lot less pressure when I’ve prepared properly for an event. It makes the results win, lose, or draw much easier to accept knowing you’ve done everything you can. In the case of Aarhus I’d done all my “return to sailing” post-injury in similar conditions so felt quite sharp. I’d also raced in Aarhus at the 2015 Europeans and finished 4th which gave me confidence with the venue. I guess coming from such a strong squad almost takes the pressure of qualifying the country away, knowing that if I had a bad event, the chances are one of the other Brits would get the job done! How do you plan on continuing your development into 2019? I’ve missed a lot of winter training in the last two years with injuries and other commitments, so in terms of technically sailing the boat I’m probably the same as 2017! This winter I’ve tried to change that, but more so with Tokyo’s expected conditions in mind. Apart from that, I think it’s following a similar formula as 2018 and learning as much as possible on the way. How do you work at reducing mistakes or minimizing their impact in such a strong fleet of Laser sailors? The easiest way is to be fast. A fast sailor either recovers from mistakes by sailing around people or can afford to sail much more conservatively and still score well. I personally like to be more risk-averse in style, which hopefully brings consistency. If you can do both well, history would suggest you’ll be toward the top more frequently. Do you have any particular “rituals” or routines that you do before going out on the water to compete? I’d struggle without a few coffees for sure. Apart from that I like to stay quite flexible and prioritize whatever needs to be done for that given day or the expected conditions. Usually I wake up pretty early to think about what those priorities might be and go from there. Do you plan to pursue a degree in the future? In what area of study? I finished studying at 18 and have focused on sailing since. I enjoyed studying and a lot of it came quite naturally to me, but I didn’t feel I could do both with the effort and attention to detail they needed. I haven’t ruled out returning, but for now I’d like to pursue a career in sailing. Do you have any other goals outside of sailing? Less time in the physio room! What do you enjoy doing when you need a break from sailing? I’m a big football fan and support Man Utd with every chance I get. Like most sailors I also enjoy staying active in new ways and catching up on lost time with friends and family. 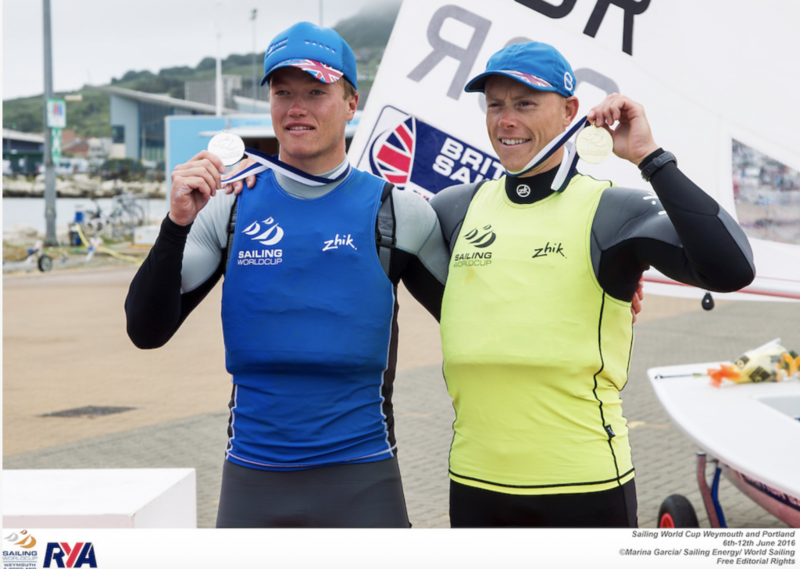 Something new I’ve done is coaching younger sailors near my hometown of the UK. It’s incredibly satisfying to see you can make a difference and guide future generations in our sport. What would you like readers to know about Elliot Hanson as a person? I’m rarely as grumpy as I look and don’t like to take myself too seriously.